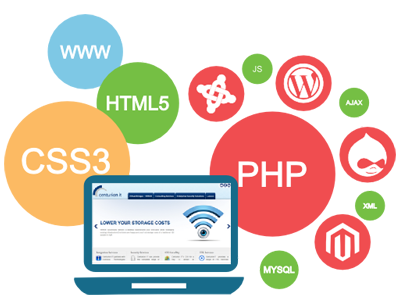 Best website Development Company in Meerut | website Development in indirapuram vasundhara ghaziabad | web Development company in Meerut | web Development in hapur | freelance web Development in vasundhara| best web Development in hapur indirapuram ghaziabad meerut| web designer developer in Meerut indirapuram ghaziabad | website Development in Meerut | website Development in Meerut | website development in hapur | website Development companies in Meerut | web Development in indirapuram vasundhara ghaziabad | web hosting in Meerut | cheap web hosting in Meerut | web hosting services in indirapuram ghaziabad | website hosting in Meerut | web hosting in Meerut indirapuram ghaziabad | domain registration in Meerut | domain name registration in indirapuram ghaziabad | internet marketing indirapuram ghaziabad | website builder Meerut | website maker Meerut | Website Development Company Meerut|Best Website Development company | Web Development services in Noida,Best website Development Company Meerut Muzaffarnagar,Best website Development Company Meerut Baghpat,Best website Development Company Meerut NH58,Best website Development Company Meerut,Best website Development Company Delhi,Best website Development Company indirapuram ghaziabad,Best website Development Company hapur,Best website Development Company Moradabad,Best website Development Company Aligarh,Best website Development Company Bijnor,Best website Development Company Bulandshahr,Best website Development Company Faizabad,Best website Development Company Firozabad,Best website Development Company Saharanpur,Best website Development Company Dehradun,Best website Development Company Haridwar,Best website Development Company Roorkee,Best website Development Company Rishikesh,Best website Development Company Gurgaon,Best website Development Company India. Web development is a step by step process. Truly speaking, it can only commence but cannot be finished or you can say there is no step where you can say it is completely done. It needs to be evolved with time according to functional requirements. That is why it is called development instead of production. Being a leading web development company, we understand all the necessities and follow all the norms to make it globally functional.PHIT Solution also provide service like SEO,digital markiting,software development. PHIT solutions expertise in developing multi-functional, robust, dynamic, and scalable CMS websites utilizing advanced technologies (ASP.Net/PHP). We follow Agile Development Process, ensuring client engagement at regular intervals, transparency about the progress, and high quality output. With our in depth know how of latest technology platforms, we have also received appreciation as a responsive web design company. We also offer website content writing services for different industry segments.